Free! Do you use the Grade 4 EnVisions math curriculum? You may enjoy enhancing the curriculum with this Power Point. The Power Point teaches Lesson 15-2 of Topic 15, solving measurement word problems. 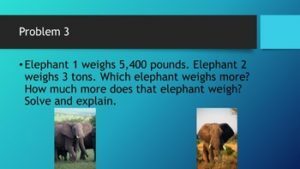 This lesson focuses on converting between measurements to solve word problems, which is an excellent higher level math skill requiring conversion and evaluation. Download for free today as a sample of what is in my Power Point presentations for the EnVisions curriculum. Enjoy! If you like this product, please check out my full Topic 15 Power Point Lessons and my Grade 4 EnVisions Math Power Point series!